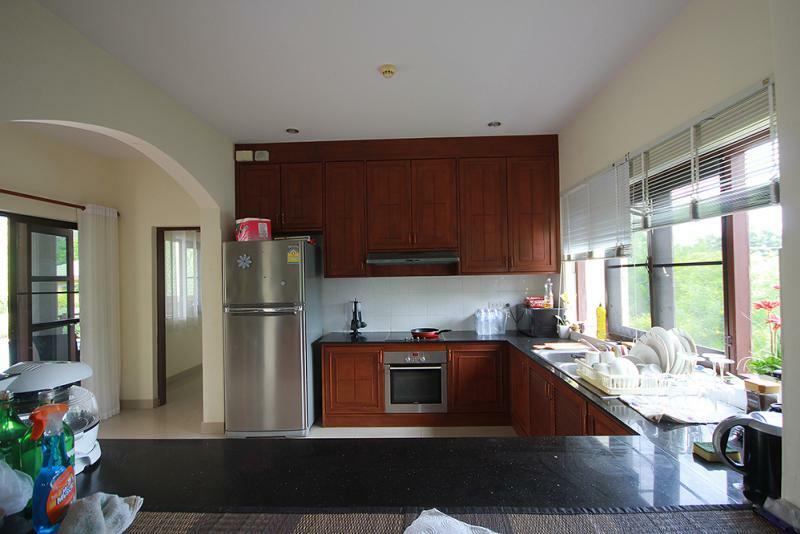 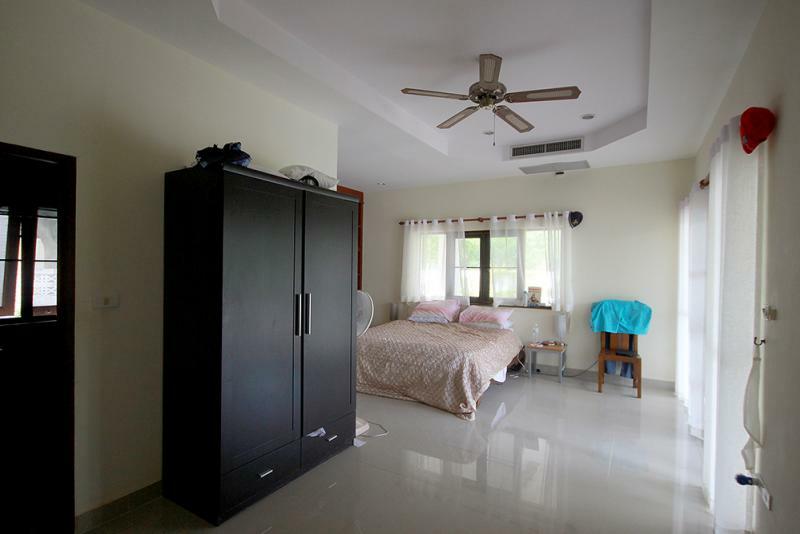 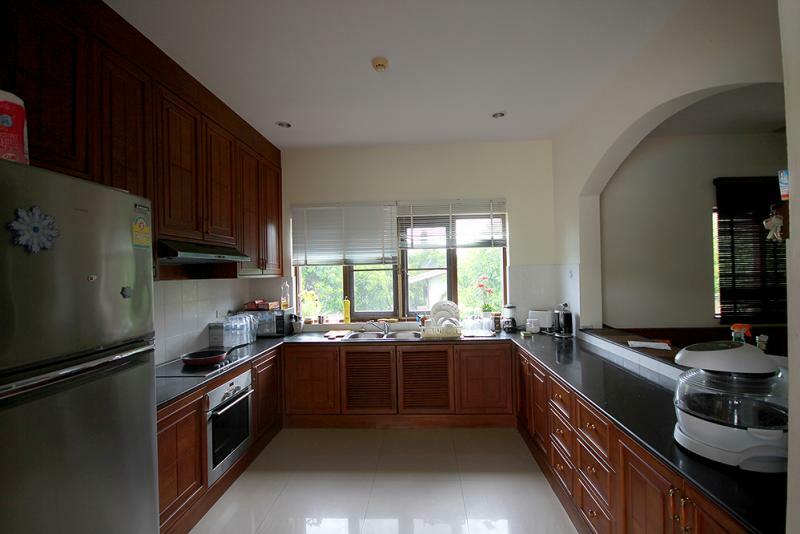 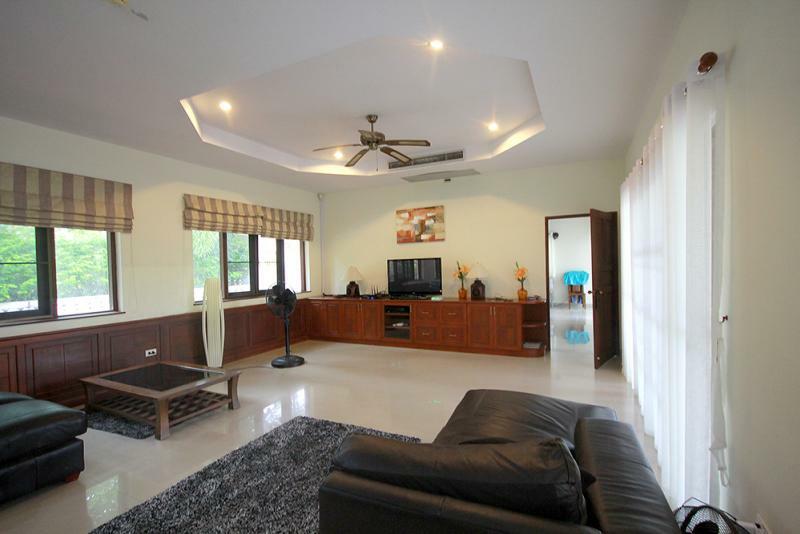 Located approximately 10 minutes South of Hua Hin is this large 4 bedroom, 4 bathroom home. 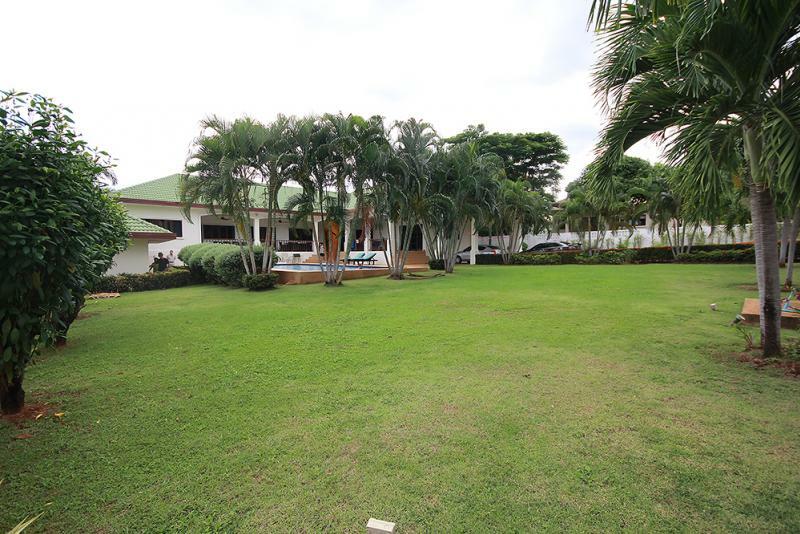 This home is not in an estate but was built be the developer who built Stewart Park with 45 homes. 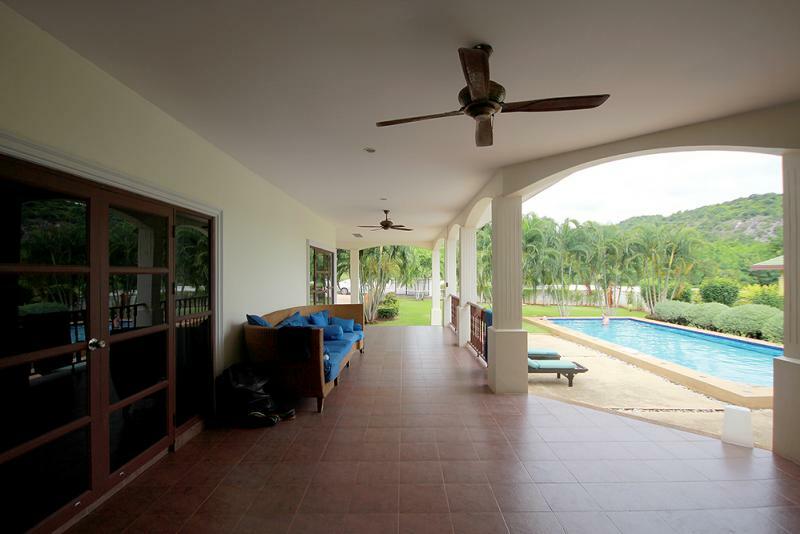 The large covered terrace overlooks the gardens and pool with a nice mountain view. 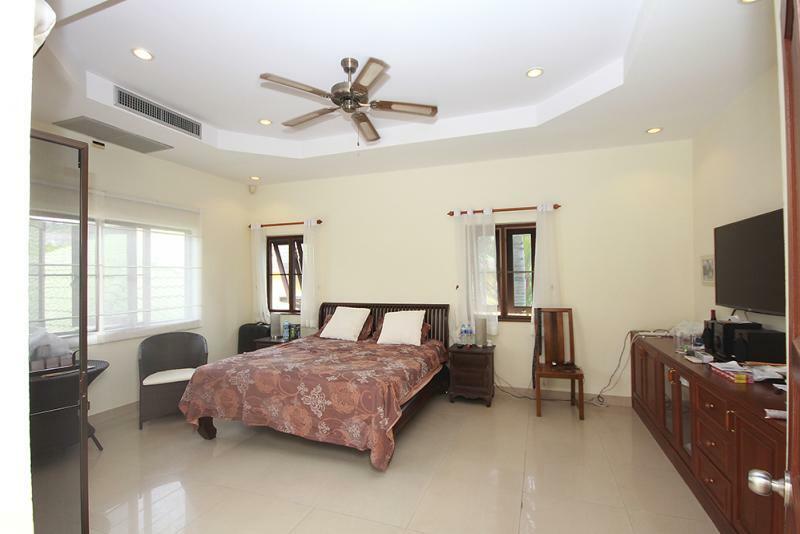 All of the bedrooms are nice sized and include air-con and fans. 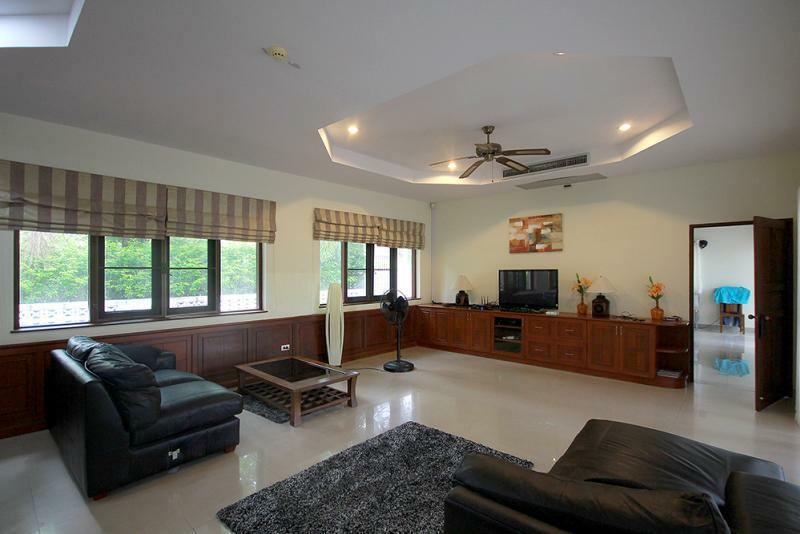 The open plan living area includes the kitchen, dining and lounge area. 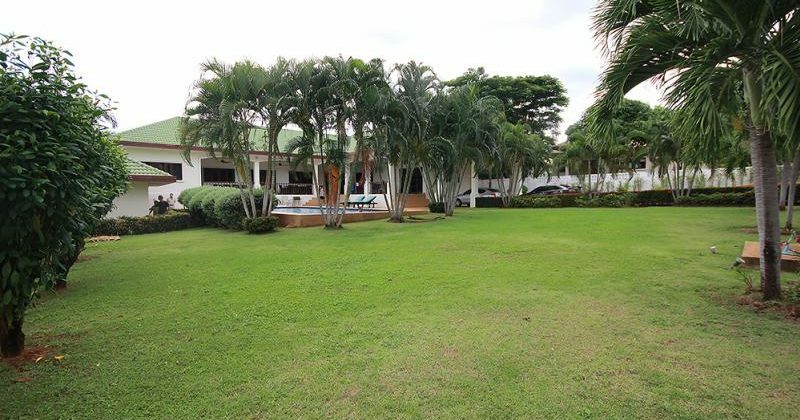 Located in the desirable South end of Hua Hin, this home is just minutes from the very popular Sanae Beach Club and Had Sai Noi Beach. 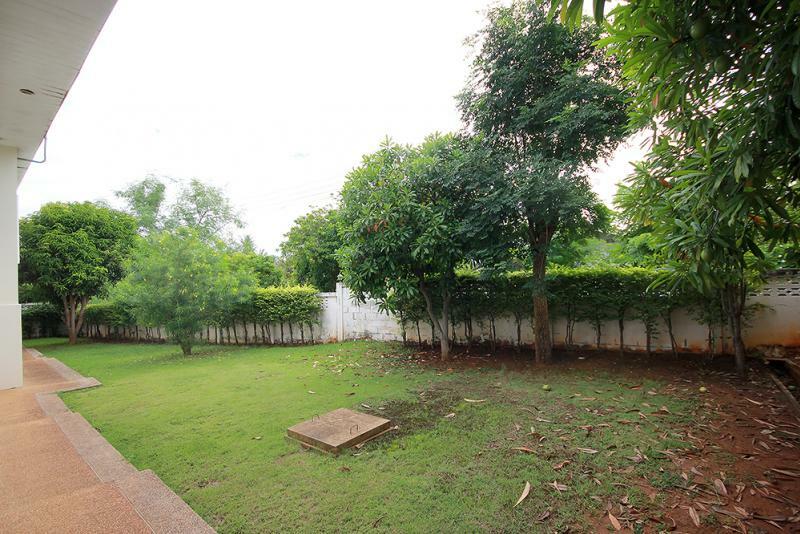 Mini marts and many conveniences are close by. 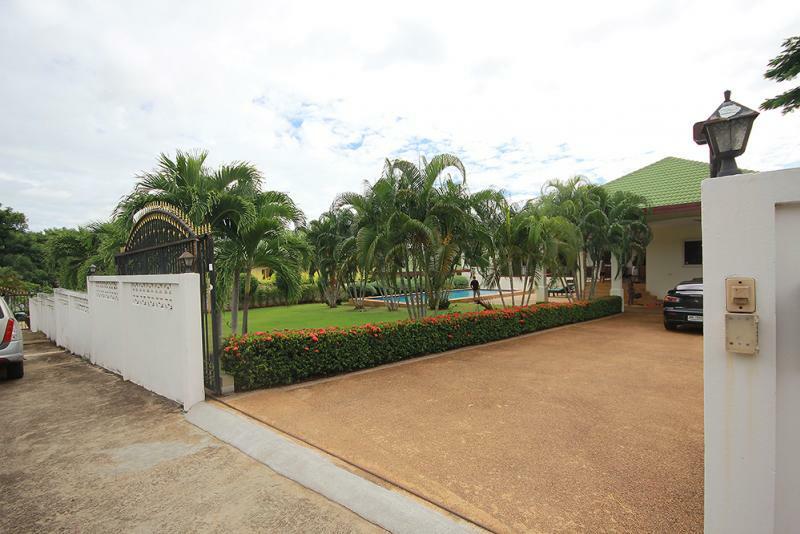 This home is also ten minutes from Hua Hin’s only Oceanfront golf course, Sea Pine.